My regular drive from my home in New Wilmington to the presbytery office on Route 18 brings me by several Amish farms with large planting fields adjacent to their homes. I love catching a glimpse of Amish families working hard in their fields, always an inter-generational affair and often making use of interesting horse-drawn equipment. Nothing says "work" like an Amish draft horse. Amish cultivation efforts throughout the year are lately yielding row upon row of sturdy-looking corn. 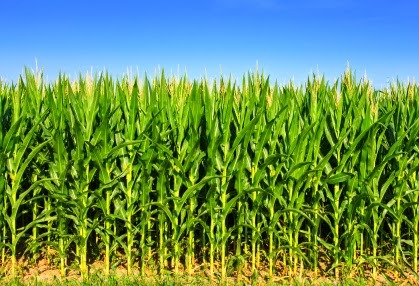 As we are now well past the Fourth of July, so also their corn is now well beyond knee high. The harvest soon cometh. Go find your butter and salt. I believe the last 30 years of Presbyterian congregational life has reminded us of two important lessons: First, our congregations will no longer replenish themselves automatically. There was an era when decent American neighbors sought out churches like ours because there was a widely-shared notion that good citizenship included Sunday morning worship at your local (usually Protestant) church. Presbyterians benefited from that cultural arrangement. Offer Sunday School, call a halfway decent preacher/chaplain, maintain a bearable choir, and, by and large, folks came. This is not to disparage fields of bygone eras, but rather it is to appreciate the reality that such soil no longer produces in the same way. Expecting a flock of the faithful to grow, simply by existing, can now be better understood to be like expecting corn to grow from ground that has not been tilled or seeded. Seeding is a burden, yes. But anyone hungry for the outcome will find cultivation a great privilege. And besides, the Holy Spirit does much of the work ahead of us. My commitment as your Executive Presbyter is to continue the work of others before me -- and not by myself but with Deacons, Pastors, and Ruling Elders alongside -- to cultivate our presbytery to be more and more a communion of farmers and field hands, tending the soil of discipleship in and around -- and if necessary, beyond -- our congregations. Cultivation is both our great burden and our greater blessing, and the Holy Spirit turns out to be both Provoker and Comforter along the way. May it be, year after year, that there are blooming followers of Jesus, of all ages, sprinkled across our congregations, who are, by the measurement of the gospel, spiritually knee high by every fourth of July. Corn row churches, anyone? Next week: the first of several specific areas of cultivation for Shenango's next 5-10 years.